The theme of this work is expressing the infinite, Absolute nature embodied in the eternal youth. The youth's spiritual achievement is symbolized by the garland around his neck which expresses the blossoming of Total Wisdom. 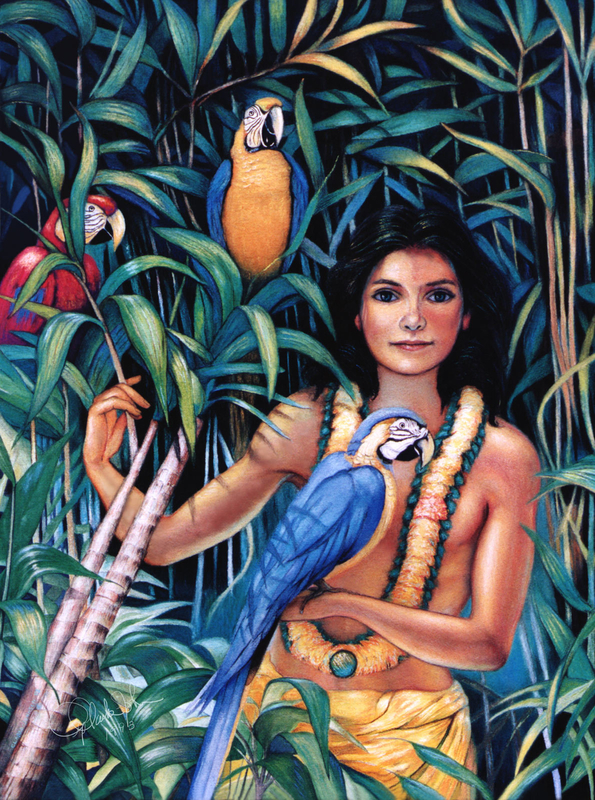 The original work is a pastel over a gouache underpainting.